If you ask the locals where the best Las Vegas buffet is, they will tell you that you need to check out the Carnival World Buffet. Not only is the décor in the dining area newly redone and fabulous, the food is some of the best in town! You will have your choice from over 300 dishes made daily, many of them served made to order at numerous live food stations. You will have your choice from a variety of meats at a carving station to pizza, hot dogs, and even homemade (you make them) milkshakes. 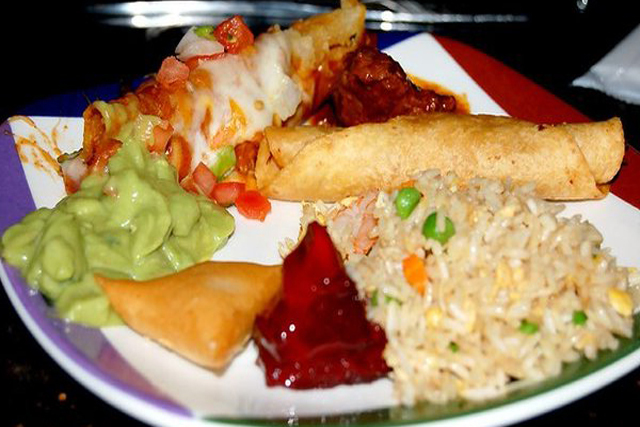 Additionally, there is a huge salad bar, Asian barbeque, pasta, fish and chips, South American cuisine, and many other options to choose. If you are looking for a great buffet with even better desserts this is definitely the place you want to come. 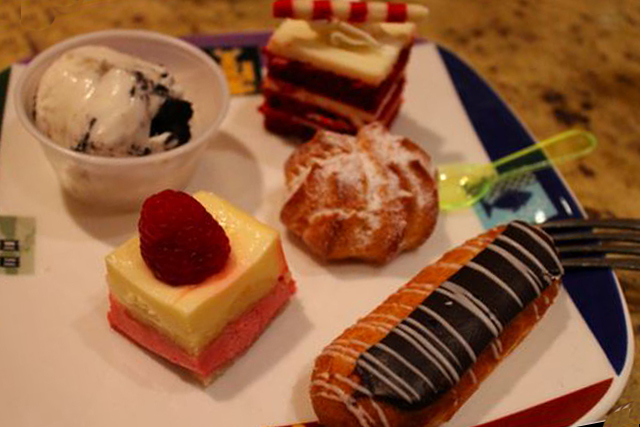 The Carnival World Buffet at Rio offers a wide selection of desserts including 70 types of pies, pastries, and cakes, as well as gelato and numerous other tasty treats. If you are a lover of a fresh ocean catch delivered straight to your plate then the Village Seafood Buffet is perfect for you and your entire family. Open for late lunches and early dinners until 10PM (11PM on weekends), the Village Seafood Buffet offers all you can eat lobster, sushi, shrimp, oysters, and snow crab legs. This is just some of what is available to you of course. Additionally, you will find plenty of pasta dishes, fresh breads, and a good selection of accompaniments and salads. If you like seafood but want some old fashioned red meat on your plate you will be covered with a wide selection of options. Prime rib is served nightly at Village Seafood Buffet. Other excellent options include barbeque ribs and a large selection of chicken dishes. Once dinner is over you can treat yourself to a delicious dessert. There are plenty of options at the full dessert bar. I went into the regular buffet, hoping for some good crab legs and some prime rib. The prime rib was dried out, and I didn't bother eating it. The crab legs were the most spindly one could imaging. Barely any meat on them. I probably had 100 of them just to get enough to barely fill me up. Nothing else looked even remotely appetizing. Poor. Don't bother with it. The Rio, My first visit to there great buffet was one of amazement. Food.Food, Food, need I say more. If there was one buffet in las Vegas that gives you more choice's of different kinds of great food, this is the place. So many different kinds of food, all cooked to prefection. This is one Buffet to put on your list of places to visit. Be sure to bring your appetite, you won't be disapointed. in our group of 4, no one had anything that was good. there was plenty to choose from but after a few bites, we quickly lost our appetite. the service wasn't great either, as has been our experience in most of Vegas. This place is a victim of it's own success. We ate here several times over the years prior to moving here and the food was excellent but over time it because to crowded and you had to spend hours standing in line and when you did get inside the food was not worth the wait and the price. You cando better elsewhere for less money and less standing.